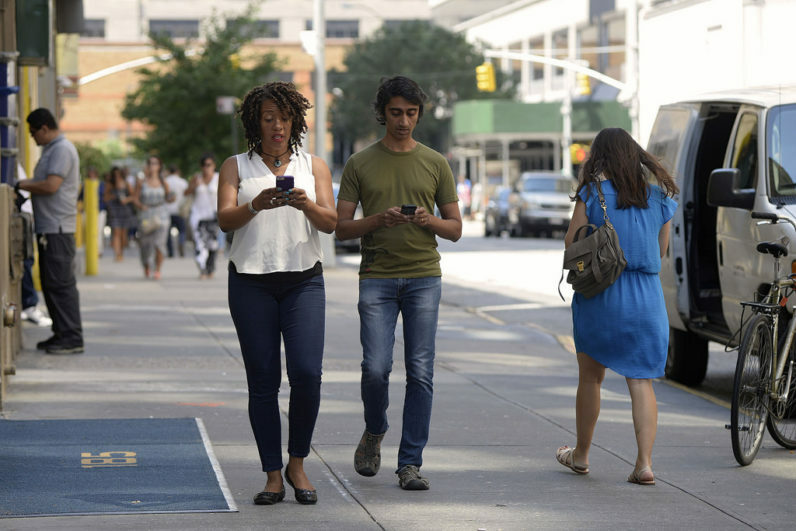 (Bloomberg) — This really shouldn’t be a surprise to anyone who’s done it: You are just no good at texting and walking. While you might do OK at the reading and typing part, your preoccupied brain isn’t paying enough attention to what’s going on with your feet. It’s such a hazard that Honolulu last month adopted an ordinance to outlaw smartphone use by pedestrians crossing streets. Now Stamford, Connecticut, may become the second U.S. city this year to combat the problem with fines. “The point is, if you’re on the street and not paying attention, it’s dangerous,” said Stamford Mayor David Martin.